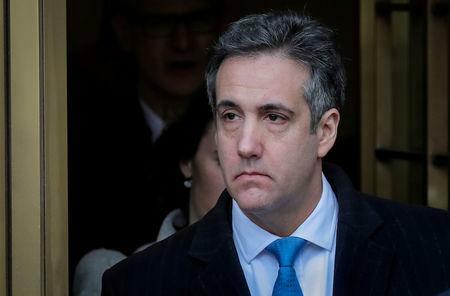 (Reuters) - Testimony by U.S. President Donald Trump's former lawyer Michael Cohen planned for Tuesday before the Senate Intelligence Committee has been postponed as he recovers from a recent surgical procedure, an attorney for Cohen said. "The Senate Select Committee on Intelligence has accepted Mr. Cohen's request for postponement of tomorrow's hearing due to post surgery medical needs," Lanny Davis said in a statement to media. "A future date will be announced by the Committee." Cohen's surgery was on his shoulder, according to a person familiar with the matter. Trump has said repeatedly there was no collusion between his campaign and Russia and has called Special Counsel Robert Mueller’s investigation a witch hunt. Moscow denies meddling in the election, despite U.S. intelligence agencies’ conclusion of Russian interference. The delay is the latest snag in Cohen's planned appearances before Congress. Last week, the House Intelligence Committee postponed his testimony until Feb. 28, citing "the interests of the investigation." Citing threats from Trump, Cohen also put off a hearing of the House of Representatives Oversight Committee originally set for last Thursday, which has not been rescheduled. In December, Cohen was sentenced by a federal judge to three years in prison for crimes including orchestrating hush payments to women who said they had affairs with Trump, in violation of campaign laws before the 2016 election.